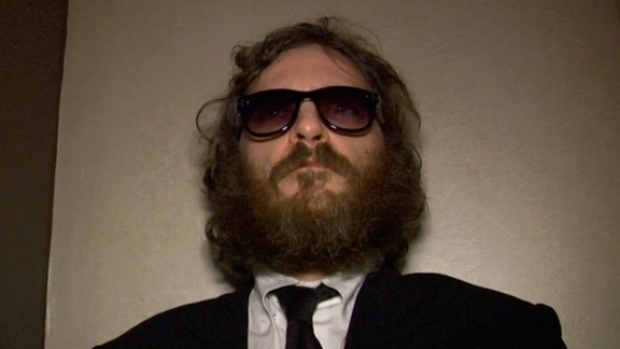 Joaquin Phoenix Is Still Here, Mia Wasikowksa Joining Him in "Big Shoe"
His obviously fake retirement from acting mercifully behind us, Joaquin Phoenix is already lining up new film projects, one about a shoe fetishist foremost among them. Mia Wasikowska will be joining Phoenix in "Big Shoe," according to Vulture, a film about a man obsessed with feet and shoes who appropriately enough makes his living as a world-class shoe designer. News of this project started floating around right around the premiere of "I'm Still Here," but this is the first time we've seen someone declare it unequivocally as a thing that is happening. The film is being directed by Steven Shainberg, who knows a thing or two about extreme predilections having helmed "Secretary" and "Fur: An Imaginary Portrait of Diane Arbus." "Big Shoe" still doesn't appear to have any financing yet, but with the Joaquin Phoenix Road Show still generating buzz and Wasikowska's star on the rise thanks to her work in "Alice in Wonderland" and "The Kids Are All Right," someone is sure to front the cash soon enough. We can't express how grateful we are that Phoenix will be getting back to work.